[Debate] Greatest Hits! Is the Silver Crystal Sentient? This is another blast from the past - nearly seven years ago! Originally posted as a theory, it turned into a bit of a debate and I think there's a good case to be made for either side. What’s more there's tons of evidence through all versions to work with! The original poster started thinking about the question because of the way that Sailor Moon prays to it. But, If that's the case, why in the manga does the Silver Crystal protect Usagi and Mamoru's bodies after Usagi ends her own life - having given up her will completely? And why did it teleport the Inner Senshi to the moon instead of somewhere familiar when Kunzite blasts the girls into another dimension(?) in the anime? Then there's what happens to it at the end of PGSM! I won't even get into how the Rainbow Crystals might sway the debate to one side or the other… But I hope someone here might! So, which side do you stand with? Is the Silver Crystal simply an extension of Sailor Moon herself or does it have it's own will or force independent of her? Maybe there's an alternate explanation for some of the anomalies? ^ That's pretty much my idea as well, but I believe it probably passes on through each ruler which is why it's so powerful. Like Usagi's will gets added to it as well when she takes possession of it. I think it depends on which franchise you look at. both the manga, 90sAnime, and PGSM have different functions for the Silver Crystal (no matter how ill-defined they are at times. <<; ). 90s Anime wise: I think it's a tool. It's got no sentience to itself and it can easily be passed down to another. We also don't have that idea that when past/present Silver Crystals are close it could cause big problems. Chibiusa doesn't seem to gain her -own- Silver crystal but rather the original one bonds/goes into her making her the new owner. And consequently, making Crystal Tokyo defenseless when she goes into the past to stay. But that's a different discussion. The thing with the rainbow crystal in-universe is because they were Big Baddies and sealed into the Silver crystal during the fight against the Dark Kingdom (I'm recalling this from memory <<;; I could be wrong but it feels about right? ) So, it doesn't seem like they influenced it much one way or another in how it's used in this version. It seems like the Silver Crystal activates because of Usagi's emotional distress/issue during the first season. It's only as powerful as Usagi and the others invest in it. Seems like it amplifies and uses the power given to it for a specified task. In PGSM :it's still a mindless tool. Usagi's emotions (her heart) controls it but it gives out power every time she uses it or is upset. It's treated as a double edged sword in that it's useful to use against the enemies but because of the uncontrollable power, it makes their worst enemy stronger. Manga wise: This is where the question of whether it's sentient or not comes in more. I personally think it's either half sentient or has an advanced AI. Which would make sense, given that it doesn't respond directly to just anyone but those of a specific lineage (Q. Serenity, Usagi, and Chibiusa respectively.). I still wanna say it's merely a tool in some regard because it needs direction, otherwise it's just kinda there. Hologram!Q.Serenity states (and this is overall in the franchise) that the Silver Crystal follows Usagi's heart. 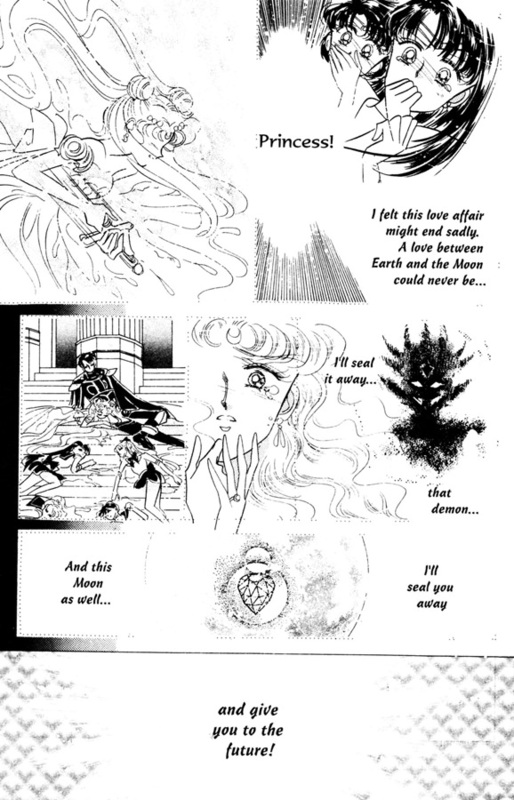 Hence why a piece of it went into Mamoru when he was more or less dying before she awakened as a princess. She was desperate to save him and it did what she wanted, though not necessarily how she wanted it as I doubted she wanted the crystal to slice a piece of itself off and go into him. 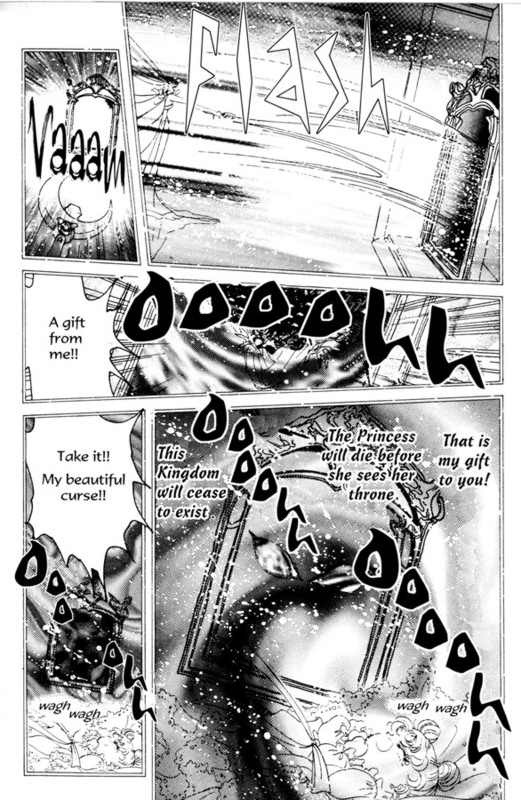 Then you have to figure in how Queen Serenity, herself, used the Silver Crystal too. She's shown to have used it twice- once for Queen Nehellenia and the Dead Moon and again for Queen Beryl. There's also a difference in how she used them there too. When Q. Nehellenia showed up and tried to hypnotize/drag her darkness in with her, Q. Serenity was quick to try and seal her away. Obviously, while distressed, she was focused and her emotional state wasn't in disarray. She managed to not only take Nehellenia into the crystal itself but then redirects it at her own personal mirror to seal her into it. This implies that the Silver Crystal can also be a temporary containment thing for darkness before you put whatever you want to seal away with the intent on doing so. The next time we see it used by Q. Serenity is when Sailor Moon and Tuxedo Kamen have been encased in the crystal and are essentially dreaming/reliving what happened in their past lives. We see that Q. Serenity was really in disarray and distraught so much over the deaths of her daughter and everyone else that the seal she made while sending everyone to a non-specified future was incomplete. So, fast forward, it's with Usagi and the way Usagi has used it may have been unique to Usagi (P.Serenity) herself. We, unfortunately, don't know a lot about P. Serenity's childhood overly much or how the Silver Crystal is normally passed down. I get the feeling that the way it should've been used originally was changed fundamentally with the abrupt end to the Silver Millennium. Unlike what we've seen from the past glimpses we get of Q.Serenity with it, it always is in the Crescent Moon Wand that she summons- for Usagi it's separate from the wand for the most part and it only seems to open in it's lotus form when the proper prayers/energies have been focused into it. Whereas before it's always been in it's diamond closed shape. The fact that it was inside of Usagi when she was reincarnated may have altered that specific Silver Crystal fundamentally enough that it became a part of her. And may have actually became apart of her original Sailor Crystal. 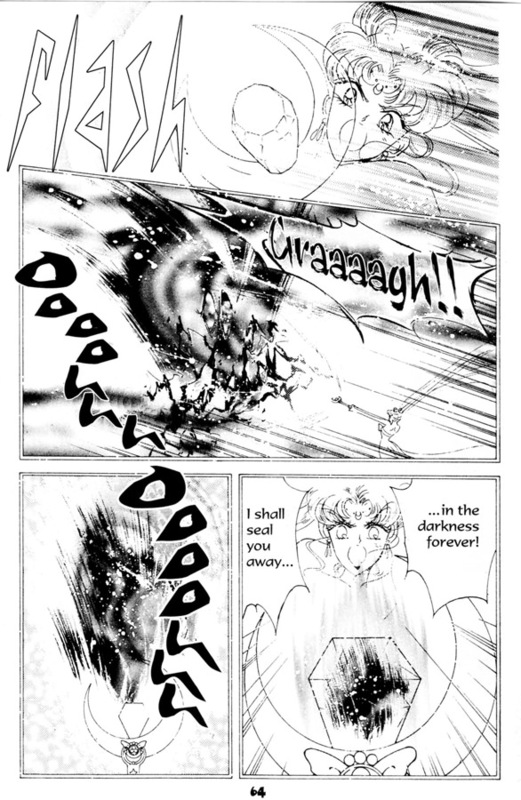 This may also be why Chibiusa cannot use her mother's Silver Crystal at all in this version. For her, it's just a trinket. It won't give her power and it won't do as she wishes, despite her being Usagi's one and only daughter and heir. Considering how unique Chibiusa, herself, is and the daughter of two crystal holders like Mamoru and Usagi- it just heightens her eventual creation of her own Silver Crystal. (which I think is modeled after her mother's. Since Endymion's seemed to have been kept either inside of himself or inside of his staff-sword. So it's never readily seen or available for Chibiusa to even think about touching or the like.) And how that crystal eventually became the Pink Crystal. tl;dr version: My opinion, the Silver Crystal functions like an AI rather than actual true sentience and does generally what its' holder wants but only in a vague fashion if the holder isn't focused at all on a very specific thing. Like in the Manga: When Usagi awakens, her desire is to save Mamoru. During this moment when the crystal is revealed, it heals -everyone- until she's able to direct it's focus specifically at Mamoru. Soo...yeah. that's what I got from it. Omg Ktenshi I love you for this detailed reply *____*. ...they all levitated off Kunzite's little jewellery box (lol) and flew to Sailor Moon's tear, combining with it to form the Silver Crystal. At that point, the baddies had been expelled from the Rainbow Crystals, so I'm assuming they're just pure shards of the SC. So is it Sailor Moon's will pulling them together or is it some sort of force they possess, propelling them to her? My opinion, the Silver Crystal functions like an AI rather than actual true sentience and does generally what its' holder wants but only in a vague fashion if the holder isn't focused at all on a very specific thing. So, if Usagi is not truly focused on what she wants or can't (like in the manga with her using the sword on herself), the Silver Crystal kinda just does it's best to interpret her true feelings. [...]I believe it probably passes on through each ruler which is why it's so powerful. Like Usagi's will gets added to it as well when she takes possession of it. Ohhh also very interesting ideas!! Jupiter, yours works especially well for the Anime. From the Sailor Moon Wikia: "It shattered in the series finale, causing all of the Sailor Soldiers' standard transformation devices to vanish." So obviously like many canon issues, PGSM is a bit of an exception but it does sort of keep with at least one part of the overarching canon: as long as the Silver Crystal exists, Sailor Moon will still have to fight. I wonder why they didn't keep it as her soul though? I think it's because Sailor Moon was A: Desperate for something to help her save Mamoru. and B: She was in closer proximity to all the crystal which were all together. Those two things probably caused them to fly to her and reform because she is the rightful heir of the Moon Kingdom. It seems to hold up across the board so far that only people of -her specific- lineage can even activate it in that continuity. So, yeah, probably responding to her emotional distress and will. I also tentatively am guessing that she also half healed Mamoru too while she had it. (even though we don't get to see that part and she spends way more time just crying over him than helping. But I wouldn't blame her for that one since she wouldn't know that it *could* heal at that point. All her memories as P. Serenity tells her it's a weapon. She doesn't learn about it's ability to really heal until later as a gamble. Before then, she assumed it was just the crescent wand that could heal. Not to mention, she totally ends up killing Kunzite and Zoisite with it. So.. yeah. Basically, about the AI thing? Yep. If she's not focused, it'll do it's best. It's like telling a computer to do a thing but not being specific about what thing, so it'll just be like " I guess this is the thing you want. Sort of." Time and money. I think by the time the Finale came, they already knew they were getting cancelled/didn't have the funds ahead of time. So a rewrite would've been necessary so the audience would get the story and a more satisfying ending. In-universe, I think it's also because Usagi didn't bond with it as tightly as her other versions. In all other versions of it with her, Usagi has, quite literally, either Died or used to to near death. Usagi in PGSM tries to -avoid- using it at all. Plus, her other personality as Princess Sailor Moon complicates matters as it seems she knows how to use it better. The other versions of Usagi never had to contend with her soul being split like this and her past-self being more into killing than healing whenever she shows up. So that could also be why it's not part of her soul, because her soul is too conflicted/divided to give any proper commands until the end. And since it's no longer needed at the very end, I assumed that Usagi and Mamoru willed it away so this sort of thing couldn't happen again.